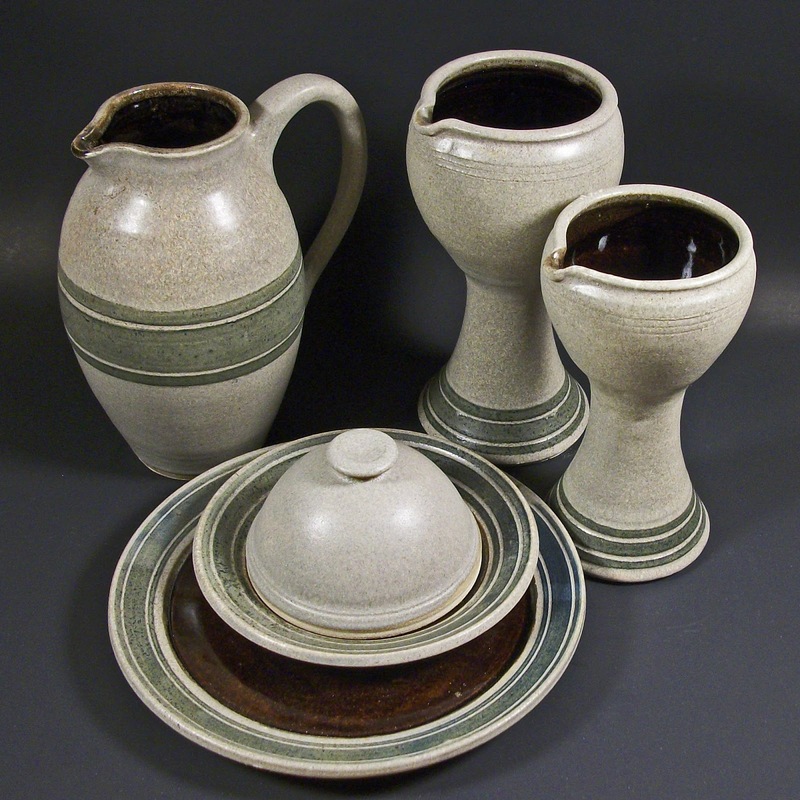 Luke Langholz Pottery: Happy New Year! It took me long enough, but here's the first update from this side of 2013! I haven't been able to spend as much time in the studio in the last few weeks as I'd prefer, but sometimes that's the way life goes. Once we started taking down and putting away our Christmas decorations (or, as Krystal would say, "Putting up the Christmas stuff," which is, confusingly enough, the same verbage used to describe the initial decoration) we sort of got sucked into a spiral of premature spring cleaning. So, in addition to small bits of throwing here and there (always in smaller bits than I'd prefer) most of the time in my studio has been spent doing some long overdue mopping, sponging, recycling (of clay and actual recyclables), tidying, and laundering of pottery towels and such + inventorying and sorting/packing pots up in the non-studio portion of the basement. I've also been working on photographing some older "clearance" pottery for listing on Facebook in the near future. Perhaps by February 1st I'll actually have something worth showing for it. 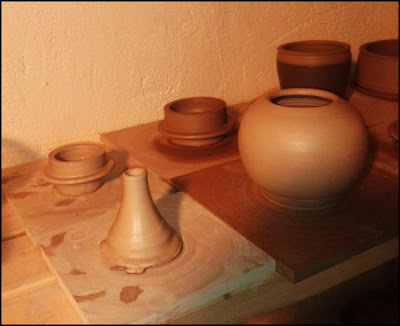 So what* else have I been up to if I haven't been throwing? Sometimes Temperance tries to play hide-and-seek without telling us we're playing. 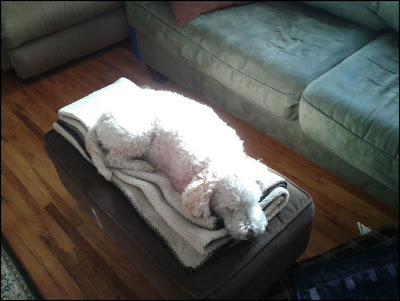 This is her trying to blend in with a wool throw on the ottoman. She's also dangerously invisible on the bathroom rug. And most of the carpet in the house. So, mostly: watch out for the invisible dog. 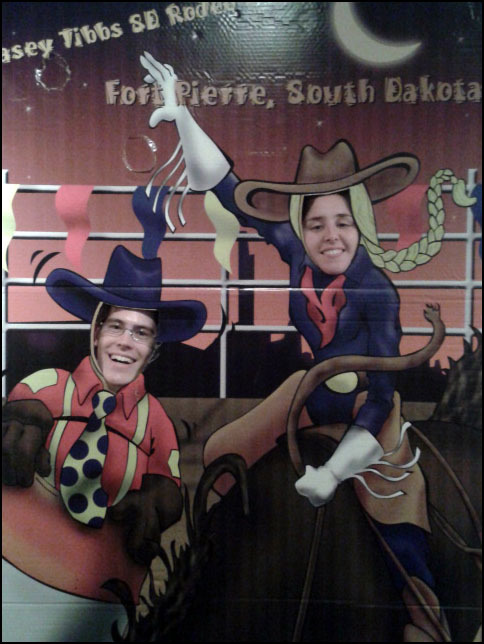 Had some company that warranted a trip to the Casey Tibbs SD Rodeo (Center? Museum?) earlier this month. Learned bunches and bunches about the rodeo. And took this rad picture. Not pictured: Krystal riding the non-mechanical Bullride Simulator. A/V experience only, no automotion involved. Big bummer there. 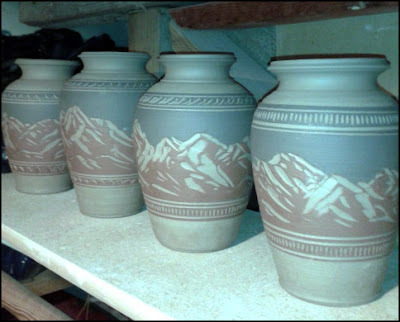 Sending pots out and about, still. 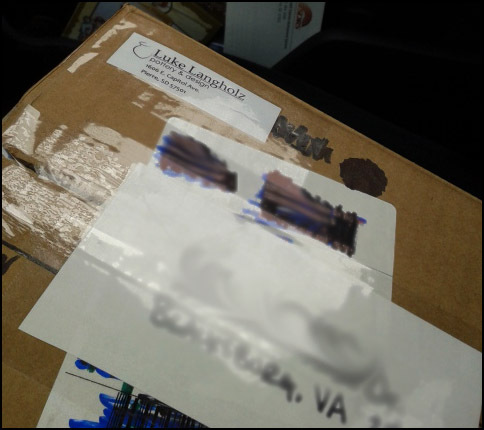 This one went to Virginia. It's an exciting thing, sending pots out and about. Since December 1st I sent pottery that would end up in Colorado, Michigan, Iowa, Minnesota, Virginia, and points unknown international. Thinking it's time to start a map wall with color coded push pins. Put that on my to-do list. 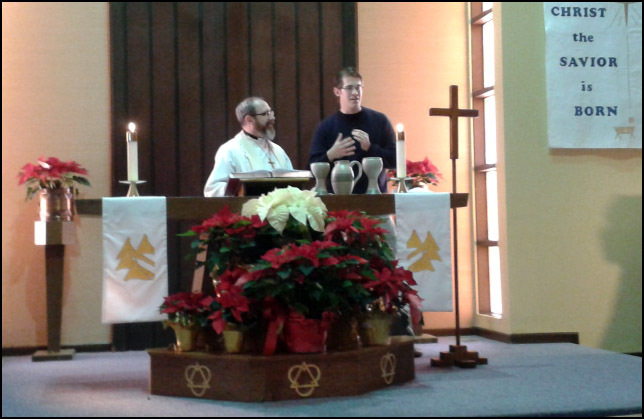 At the start of the year, I was pleased to present the communion set I had been commissioned to make for Resurrection Lutheran Church (our congregation). The communion wares were dedicated and used in service on Sunday, January 6th. Talking a little bit about the process and creation of the wares during the dedication. Complete communion set for Resurrection Lutheran, including: spouted/lipped chalices, larger for wine, smaller for grape juice; paten with cover for wafer service; larger paten for loaf service, and pitcher. I think it's okay to say that I'm awfully proud of this set and the way it turned out. Bit of a challenge in the outset as these are pieces outside of my normal range of work, but extremely edifying in the end. I hope these pieces will provide years of service in our congregation. It certainly has been nice to see them in use the last few weeks. 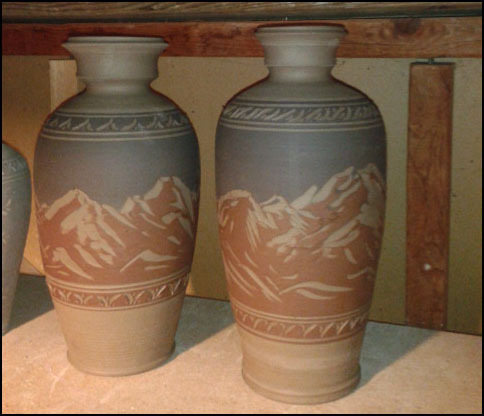 A couple of 6# mountain vases. Rather pleased with the necks/lips/tops on these. So that's about it. Some little bowls happening here and there. Other things. Might actually get down to some heavy-duty throwing this weekend. Sold off my giant mountain vases, so that might be an upcoming project. In the meantime: enjoying tunes lately from LEAGUES (debut releasing 1/29/13 - have been enjoying my early bird preorder copy), Least of These, and Ascend the Hill, as well as perennial favorites like Bleach and Mutemath. So check all of them out. They won't disappoint. Back to the grind y'all. Stay classy, have fun, make stuff, be creative. Or something. Always on the hunt for a good mantra. *Note: if you type faster with one hand than the other, sometimes keys get pushed out of order, sometimes to hilarious result. For example, at first run-through I mistyped "So what" as "Sow hat" which is something completely different, I suppose. And mildly amusing for me. Deal with it. Nice to hear from you again, nice pots.